Description: Since it’s release on December 25th last year, “Molly’s Game” directed by Aaron Sorkin is creating quite a buzz with the 2018 Awards season capturing 8 major nominations so far including a recent nod for an Academy Award in the Best Adapted Screenplay category. Inspired by the true story of Molly Bloom, a young Olympic class skier who ran the world’s most exclusive high stakes poker game for a decade before being arrested by FBI agents. Starring Jessica Chastain , Kevin Costner, Michael Cora and Idris Elba. The skiing scenes took place in our own backyard at Beaver Valley in Blue Mountains where over 300 local residents had an opportunity to be part of the film as “extras”. 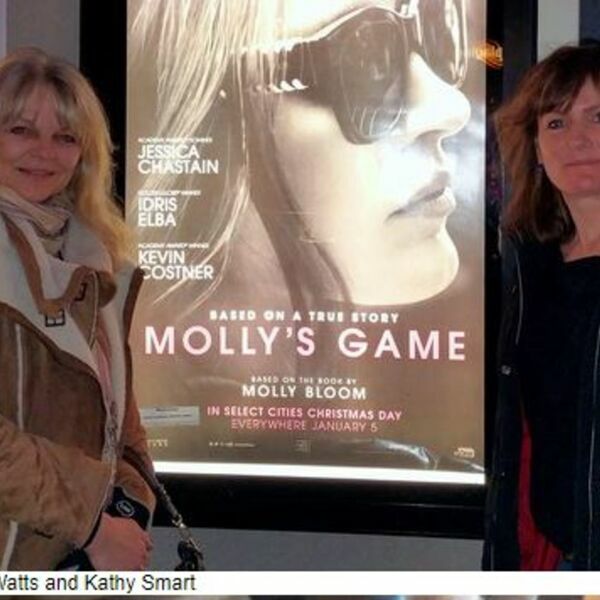 Joining Dianna for this week's BEACH CORNER, from our community are Mary Ann Watts, Kathy Smart and Laura LaChapelle who took part as extras on this successful movie. They will share their role and experience in being part of a Hollywood film set. Please enjoy and share this great local program. Since it’s release on December 25th last year, “Molly’s Game” directed by Aaron Sorkin is creating quite a buzz with the 2018 Awards season capturing 8 major nominations so far including a recent nod for an Academy Award in the Best Adapted Screenplay category. Inspired by the true story of Molly Bloom, a young Olympic class skier who ran the world’s most exclusive high stakes poker game for a decade before being arrested by FBI agents. Starring Jessica Chastain , Kevin Costner, Michael Cora and Idris Elba. The skiing scenes took place in our own backyard at Beaver Valley in Blue Mountains where over 300 local residents had an opportunity to be part of the film as “extras”. Joining Dianna for this week's BEACH CORNER, from our community are Mary Ann Watts, Kathy Smart and Laura LaChapelle who took part as extras on this successful movie. They will share their role and experience in being part of a Hollywood film set. Please enjoy and share this great local program.